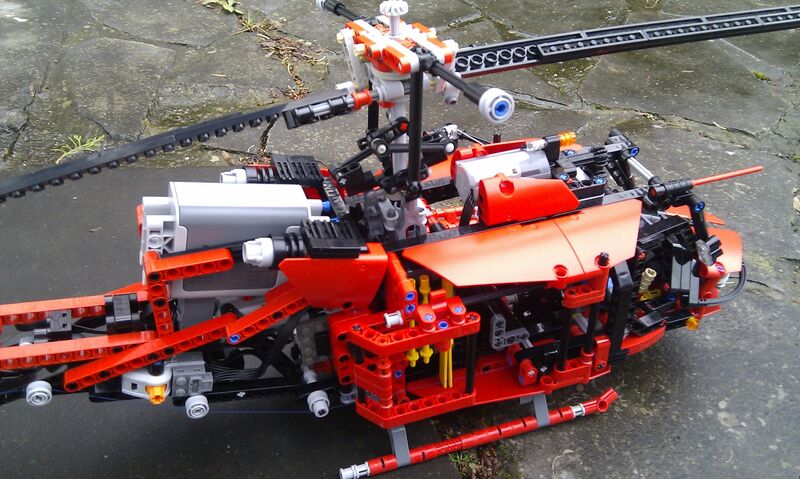 This week I wanted to bring the amazing helicopter made by Steph77 from SeTechnic. 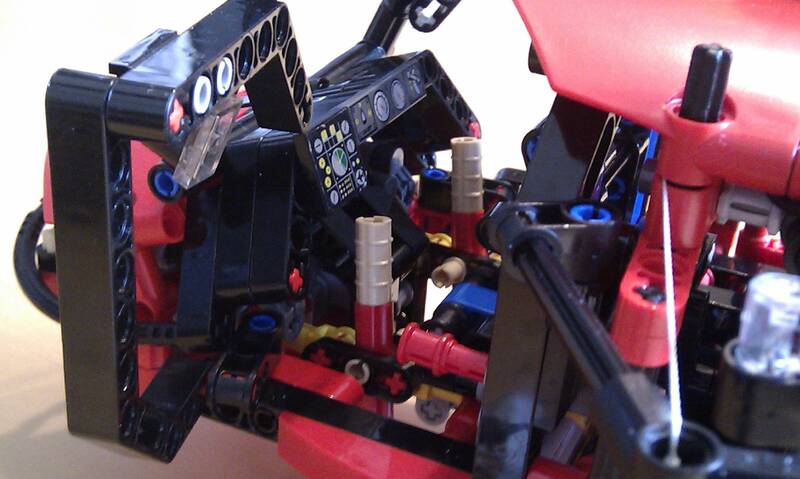 He presented this piece of art at SeTechnic forum and EB, but continued to work on it. Finally he has declared it as finished in his last video, after having made the Hiller-Bell stabilization system fully operational. 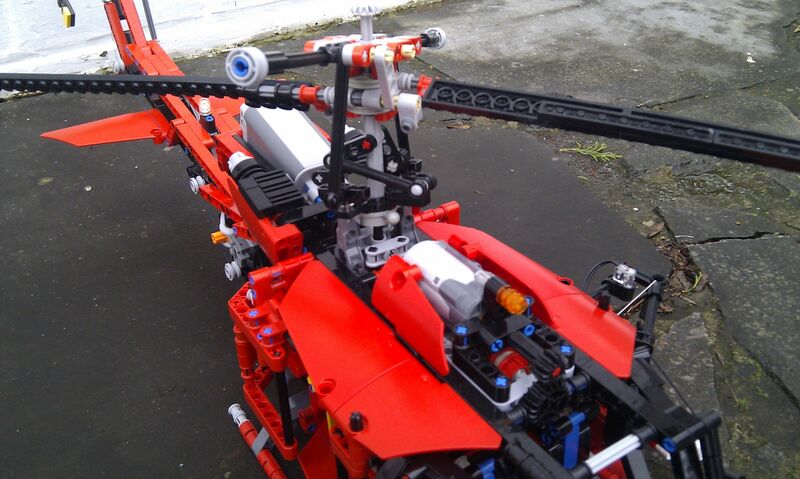 This is one of the very few MOCs which implement the full set of helicopter rotor mechanics. 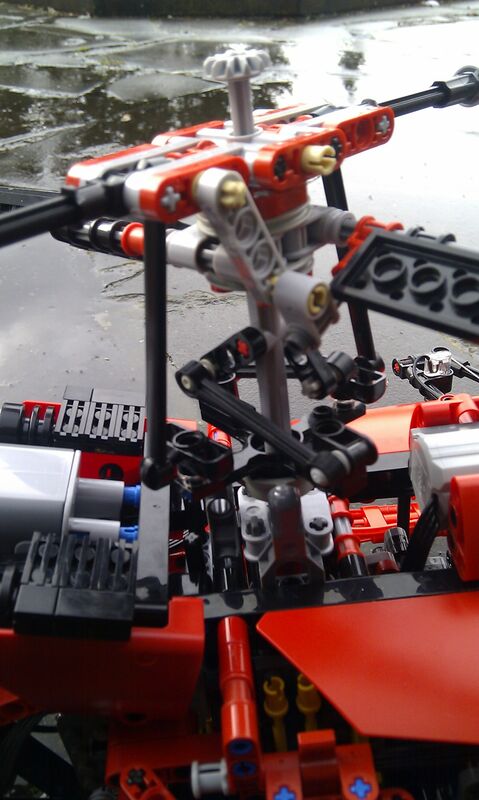 Which btw TLG never did in any of the official LEGO Technic helicopters. Read more about the helicopter rotor technology and swashplate function, from Wikipedia. Other related literature may include: 1, 2, 3, 4. Steph77 made several videos along the building process, which you can find at his YT channel, and some photos of earlier versions at his Brickshelf gallery. Other photos I'm afraid they're scattered through ImageShack, but we could find some nice ones along his presentation of the model at SeTechnic.